The sounds of Sunday. Be part of bringing joy to Sunday worship. Your child will rehearse songs and play simple instruments with other Sunday school kids. 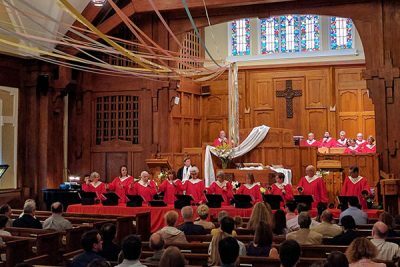 The children’s choir performs during Sunday worship once a month and also during special services: Christmas Pageant, Palm Sunday processional and Church Music Sunday.